Email newsletters are one of the oldest forms of online marketing, but that doesn’t mean they’re out of date. If managed well, a newsletter can help build the credibility and trust you need to turn your construction prospects into clients. Your prospects sign up for your newsletter expecting information that will help them with the specific project they’re planning. The better you can focus on each type of client‘s needs, the more you can help them. If you’re targeting widely different markets, such as home renovation and commercial office construction, it’s worth running separate newsletters for each. Try to appeal to both groups in one newsletter and you’ll end up with superficial content that doesn’t benefit either. With separate lists, you can offer content that delves into the details and provides actionable information. Beyond this, consider segmenting your email list for different stages of the buying cycle. You might have one home renovation newsletter for new prospects and another, more in-depth version for prospects who’ve scheduled a consultation with you. Concrete value is what keeps your subscribers reading your newsletters. Offer information that will save them money or time, make their building project go more smoothly or help them further develop their ideas. Share data that shows renters pay more for commercial office space with an on-site gym and your readers will be happy they subscribed. When you can, include special offers that aren’t available to non-subscribers. That could be a planning session with you, an invitation to an event you’re holding or a discount to the home renovation expo you scored for them. Make 80 to 90 percent of your content something that benefits your readers with the remaining space left for more sales-oriented content. Keep it concise. Around 200 words is enough. Use your newsletter to tempt your readers back to your website to learn more about the topic or to encourage them to get in touch with you. For more on generating leads to include in your email newsletter list, contact us at Construction Monitor. 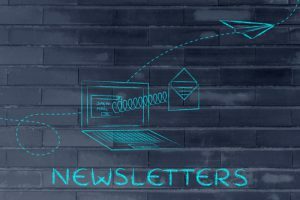 Posted on March 21, 2019 March 21, 2019 Author David MineerCategories NewsTags email newsletter, lead nurturingLeave a comment on Can an Email Newsletter Really Help Your Business? Choosing a construction firm to work with is a major decision, so it’s understandable your potential clients need time to think things through. An email drip campaign keeps your name in front of your prospects during that decision-making process, gently leading them toward choosing your firm. 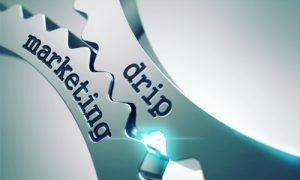 An email drip campaign is a series of pre-written emails automatically sent to your leads or clients based on a specific action, such as requesting information or signing up for your newsletter. These campaigns are typically designed to nurture new leads, but can also be used to upsell existing clients or stay in touch with past clients. With this kind of automation, you’ll no longer feel pressured to dash off emails that might be less than perfect. You can craft your emails ahead of time using the wording you know best connects with your target market. A planned campaign ensures emails that say exactly what you want go out at the optimal times and with the consistency needed to build relationships. Because all your leads receive the same emails in the same sequence, you’ll have reliable data you can use to track each campaign’s effectiveness. One-off emails often get lost in the shuffle, but when your emails are part of a campaign, your prospects become accustomed to seeing your name, making them more responsive to what you have to say. If your campaign is planned well, your emails will form a coherent message that holds your leads’ interest as they gradually learn more about your firm, your services, and the benefits of working with you. Marketing research has found recipients are 80 percent more likely to open emails that are part of a drip campaign compared to single emails. What’s more, they’re also 6 percent more likely to click links in these emails. While that might not sound like much, it’s a difference that can result in a major contract you might have otherwise missed. The Internet is rich hunting grounds for construction leads, but to capture those leads, you need to take consistent, focused action. Following some proven-effective contractor marketing tips for better lead generation will get you off to a running start. Provide valuable content – Every day, your prospective clients are online searching for the information they need to manage their construction projects successfully. By becoming a source of valuable, easy-to-understand information, you turn your construction firm into a magnet for these prospects. On your website, blog, and social media accounts, provide posts, images, infographics, videos, and other content that will help your prospects plan their projects. Get social – Social media gives you an easy way to reach people in your target market and build the kind of personal connections that result in warm leads. Don’t just talk about your services, but truly engage with your prospects. Join discussions, answer questions, comment on others’ posts, and share tips and industry news. Offer an incentive – A website visitor who isn’t yet sure if they want to do business with you might still be willing to pass along their contact details with the right motivation. To give them that extra nudge, create an incentive you can offer in exchange for an email address. It could be a detailed whitepaper, time-saving cheatsheet or informative video. 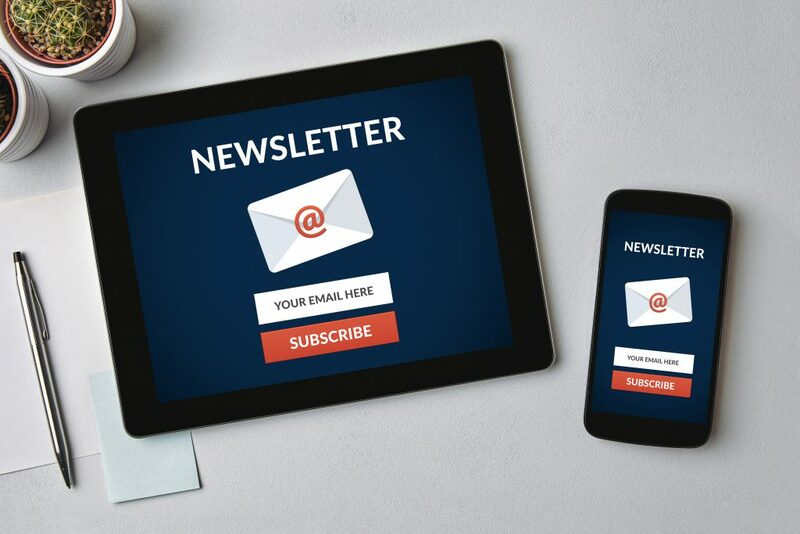 Publish a newsletter – A simple, weekly or even monthly email newsletter keeps you on your prospects’ radar and lets you demonstrate your expertise gradually, helping you build trust and rapport. In the newsletter, offer practical tips and address the concerns your prospects typically have about their construction projects. Ask your visitors to act – If you expect your visitors to contact you, don’t be shy about asking directly. At the end of your blog posts and email newsletters, include clear, specific calls to action encouraging your reader to call or email you. In your social media posts, invite your visitors to back to your site to read a related article or pick up a free download.